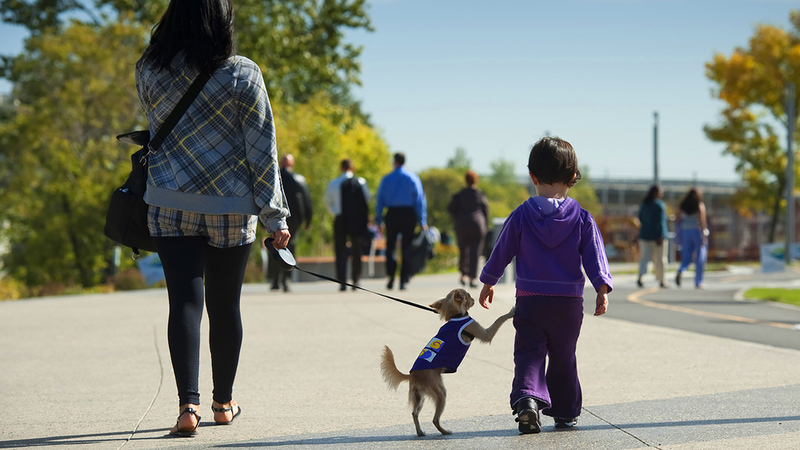 Embracing the Bow River and celebrating its rich history, RiverWalk™ is the true soul of the Rivers District. When completed, it will meander four kilometres along the Bow and Elbow Rivers, restoring the natural beauty of the riverbanks and linking neighbourhoods from Chinatown to East Village to Inglewood, Stampede Park and beyond. On September 27, 2012 – to the delight of Calgarians who enjoy recreational bike rides and strolls along the river’s edge – CMLC completed and opened Phase III of this important infrastructure program. 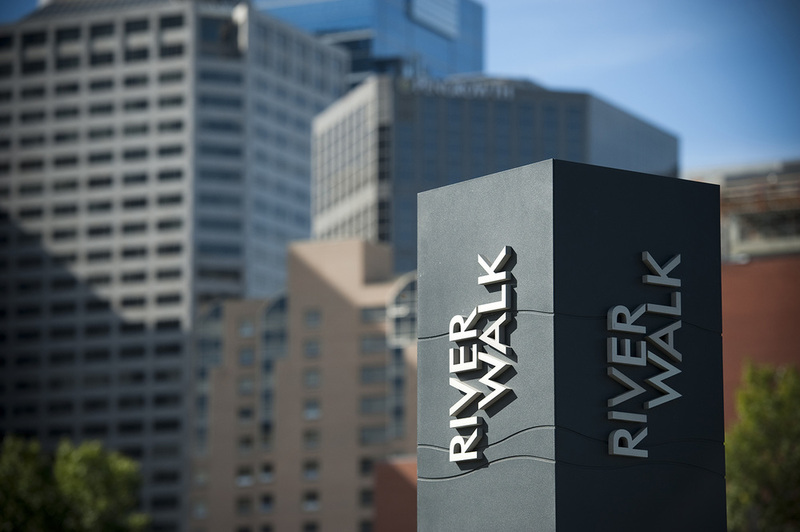 RiverWalk now stretches two kilometres along the Bow River from Centre Street Bridge to 9 Avenue SE. 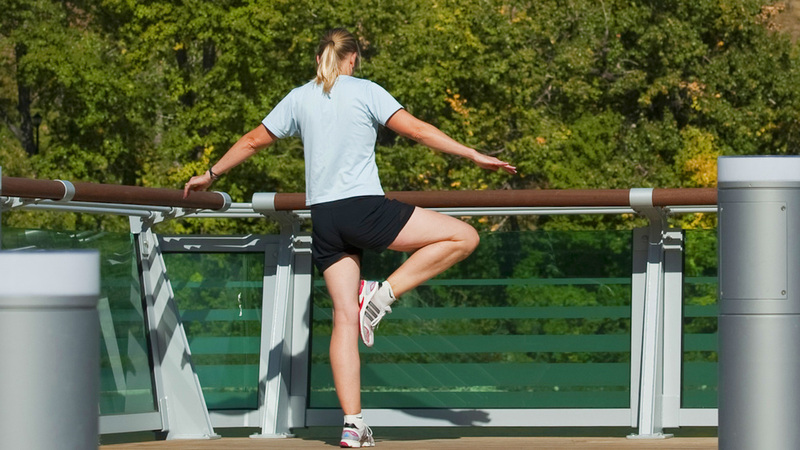 Designed as both a journey and a destination, RiverWalk is a key connector and commuter route for pedestrians and cyclists. 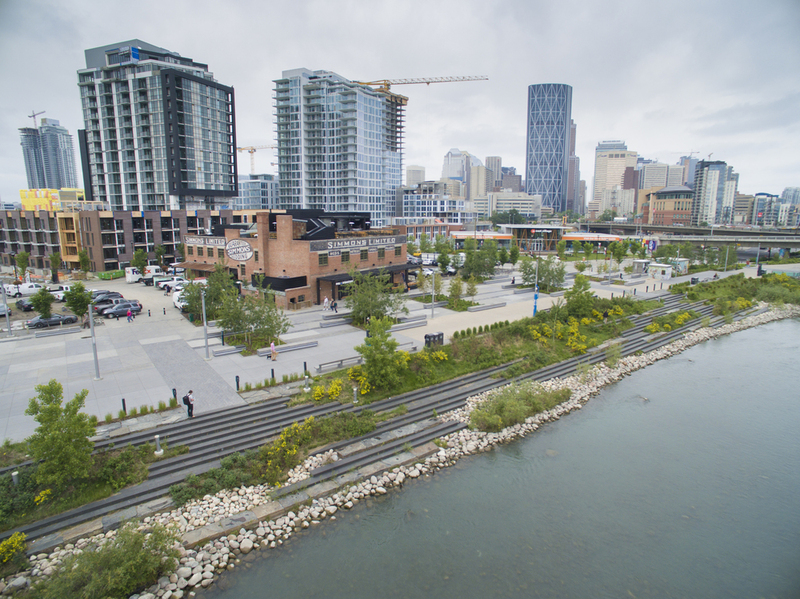 At the same time, with its outdoor art installations, lighting, outdoor furniture and extensive landscaping, it’s a sought-after recreational destination – a place where Calgarians can reconnect with the river and literally dip their toes into the Bow. CMLC’s completion of Phase III marked the end of Stage 1 of the RiverWalk program. Stage 2 will advance RiverWalk east from 9th Avenue SE to Victoria Crossing (13th Avenue SE). Stage 3 will wind along the south side of Elbow River from Victoria Crossing to Lindsay Park.